From time to time I get the privilege to play music with some good friends who are also awesome musicians, and one of those times is this Saturday night! 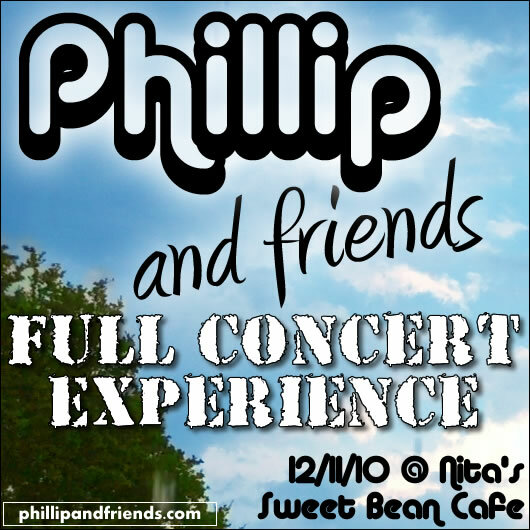 It’s happening from 7pm-9pm on 12/11/10 at Nita’s Sweet Bean Cafe in Fort Myers. We’ll be playing fun cover songs, plenty of originals, and maybe even a little magic. There’s no charge to get in, but we will make available the opportunity to donate to a great cause, an organization called “Feed My Starving Children”. They provide meals and care for hungry kids all around the world and were just identified by Charity Navigator as the fastest growing charity in the United States. For more info about FMSC, check out their website at http://www.fmsc.org.